As the capital city, and the largest city in the whole of Latvia, Riga is the focal point for many when it comes to visiting or looking at the country. As of July 2015, the city has a population of 641,007. This means that more than a third of the entire population of Latvia is found in the capital city and that it is the largest city of all of the Baltic states. The city is located on the Gulf of Riga and is found at the Daugava mouth. The history of Riga dates back to 1201 and the importance of the city has been confirmed by the fact that the historical centre of the city has been recognised as a World Heritage Site by UNESCO. The city plays host to Riga International Airport, which is the largest airport in all of the Baltic States. 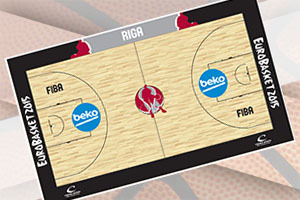 With a city that is rapidly developing into one of the leading tourist cities in Europe, Riga is an ideal city to host a sporting event that welcomes fans from all over the continent, and this is why Riga is the ideal choice to host Group D in the 2015 EuroBasket event. 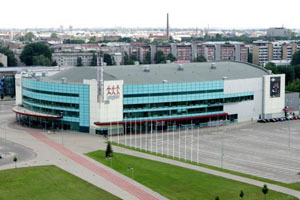 The Arena Riga is an indoor arena which predominantly hosts basketball and ice hockey games while being a major concert arena on Latvia. Work began on the stadium in 2004 and it was opened in February of 2006. The construction cost of the venue was €28.5 million and the venue has a capacity of just over 11,000 for basketball games. This capacity rises to a total of 14,500 for concerts and one of the key reasons why the arena was built was to be a host venue for the 2006 IIHF World Championship. The infrastructure around the venue makes it an easy place to get to and from, which means that the fans descending upon the Arena Riga for this summer’s leading basketball event should have an enjoyable and pleasant time, depending on the score for their team. The venue will host three games a day with games scheduled for Saturday the 5th of September, Sunday the 6th of September, Monday the 7th of September, Wednesday the 9th of September and Thursday the 10th of September. Tuesday is the scheduled day off in the group, giving players and fans a break before the two day run to the climax of the group. Latvia can call on home support in Group D, but there will be plenty of fans cheering on Estonia, Lithuania, Ukraine, Belgium and the Czech Republic. 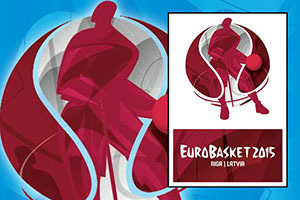 With only four teams making it through to the knock-out round, there will be two sets of teams and fans saying goodbye to the EuroBasket 2015 event in Riga, but four sides will march on in the hope of glory.